Sam Francis was born June 25, 1923 in San Mateo, California. Francis studied botany, medicine and psychology at the University of California, Berkeley. Francis served in the United States Air Force during World War II before being injured in a plane crash. While recuperating from his injuries, Francis developed a love for painting. 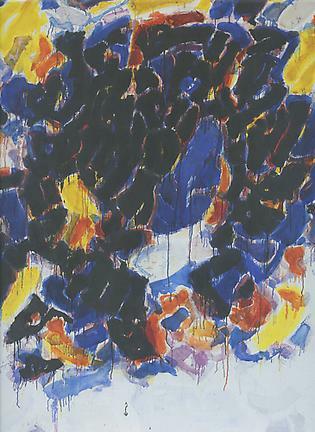 Early in his career, Francis found a mentor in the Bay Area artist David Park who introduced him to a myriad of artists, and the prevailing artistic trends including the Abstract Expressionists of the fabled New York School. From this group, Mark Rothko, Jackson Pollock, Arshile Gorky, Clyfford Still, and William Baziotes were particularly influential for Francis.